Everything at Chantry Court is focused on helping residents relax, enjoy life and feel cared for as their needs change. Should any resident feel that they would benefit from some additional support, staff enable this as subtly and respectfully as possible, either in a resident's own property or through specialised in-house domiciliary care. At Chantry Court this service is offered 24 hours a day, 365 days a year, with a principal aim to ensure clients receive tailored care and feel supported. Efforts are always made to enhance residents' quality of life and help maintain the best possible level of independence. 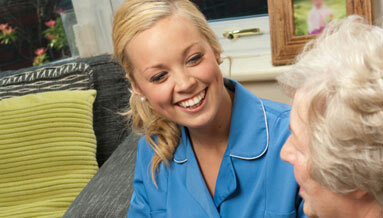 Chantry Court's flexible care options mean care and support can be provided on a short-term or long-term basis. All types of help are available, from cost effective 1/4 hour time periods, through to comprehensive 24 hour support, depending on what's needed. If preferred, arrangements can be made for carers to sleep in a resident's home, providing comfort and re-assurance in the event of an emergency.